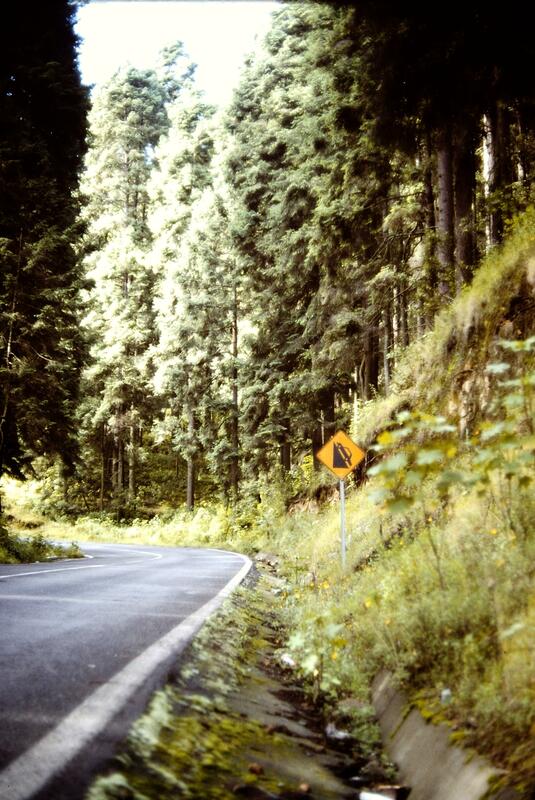 The mountains of Michoacan in 1990. That road sign is only a slight exaggeration. Jacqueline Soule this week with a charming and easy-to-grow herb – garlic chives. This herb offers a dish the hint of garlic and the fresh crispness of scallions. The first time I ate garlic chives that I know of was chopped and sprinkled on my soft tacos at a little roadside food stop in a forgotten town in Michoacan. The woman serving us was so taken with my questions about the plant that she sent her son scurrying home to dig up some bulbs to give me. Since I was on a plant collecting trip I had all the permits I needed to legally bring the bulbs back to the USA with me. These tough perennials have been surviving in my gardens in various USDA zones and even indoors in pots for the next 30 plus years. 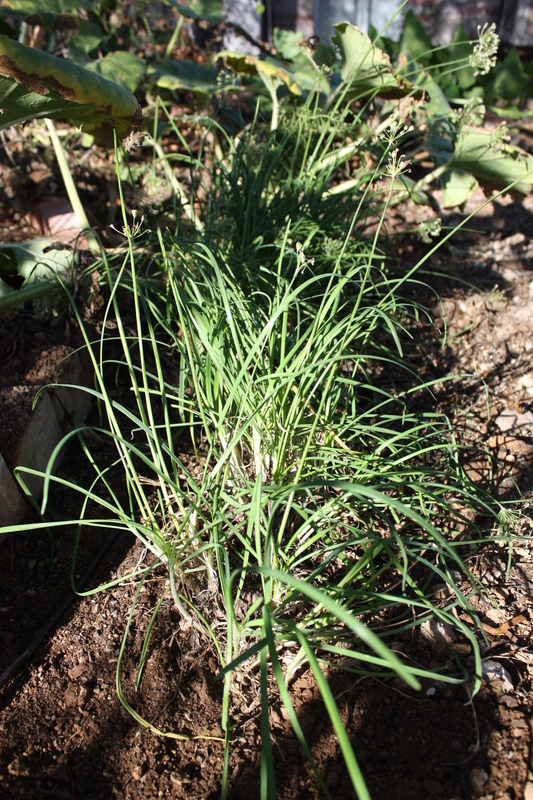 Garlic chives are tough plants that survive with little extra water and taste great. 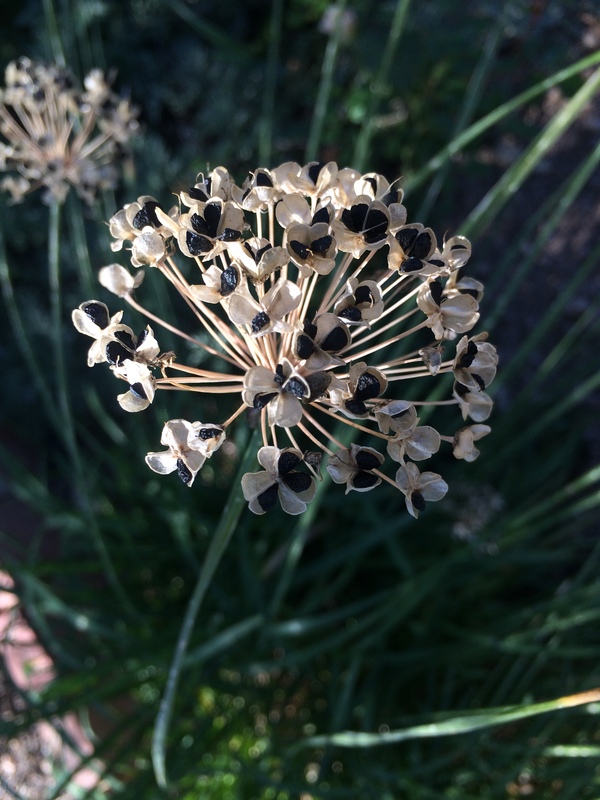 Garlic chives (Allium tuberosum) make a graceful green statement in the landscape, are low water users, and bloom in September and October with a fireworks-like burst of white bloom on a tall stalk held above the grassy green leaves. 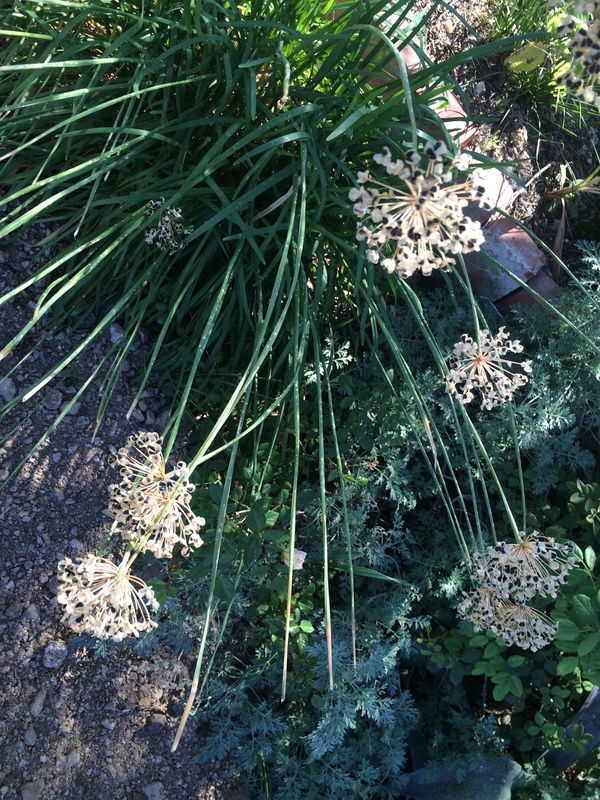 Blooms are white, followed by easy to harvest seed heads. Originally from the Mongolian steppes, plants tolerate our alkaline soils and thrive in zones 10 to 4. Despite the tuberous name, the part you eat are the leaves. Harvest anytime to add raw or cooked to any dish where you desire a mild garlic flavor. Garlic chives are equally edible when vegetative, in bloom or in seed – quite unlike many other herbs. Use garlic chive leaves how you would use scallions. We like them in stir-fry and omelets, or just a few to give zing to salad. They are also great in soup, even in simple soup made to hydrate and warm on a cool winter day. Plant grow readily from seed, and can spread through the garden, appearing in watered areas. It is easily removed if it comes up where you don’t want it. If you are trying to eat only plants that are in season, these are always in season! Garlic chives great addition to the garden, even if you never plan to eat any. No matter what your garden style, garlic chives can fit right in. 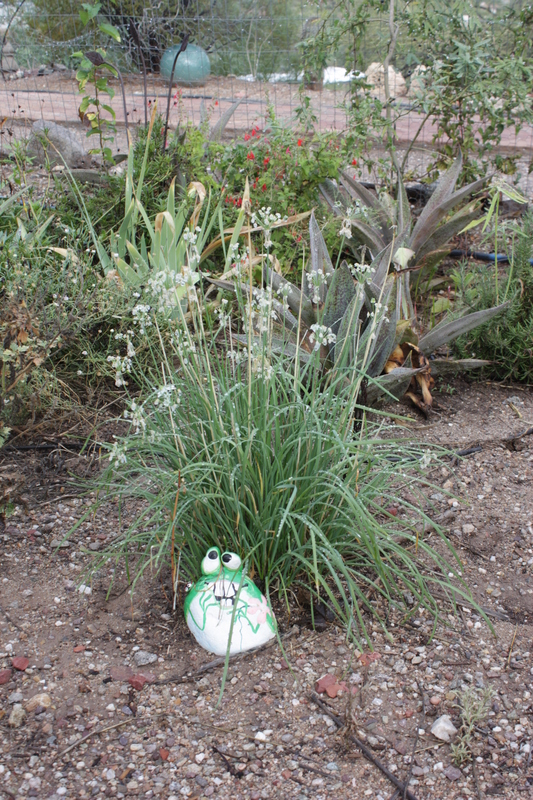 If you wish tips on gardening in the Southwest, please visit my facebook page Gardening With Soule. If you live in Southeastern Arizona, please come to one of my lectures. Look for me at your local Pima County Library branch, Tumacacori (Fruits & Herbs of the Old Missions, 12:30, Thursday February 4th, 2016), Steam Pump Ranch, Tubac Presidio, Tucson Festival of Books and other venues. After each event I will be signing copies of my books, including the latest, “Southwest Fruit and Vegetable Gardening,” written for Arizona, Nevada and New Mexico (Cool Springs Press, $23). © This article and these photos are copyright by Jacqueline A. Soule. All rights reserved. Republishing an entire blog post or article is prohibited without permission. I receive many requests to reprint my work. My policy is that you may use a short excerpt but you must give proper credit to the author, and must include a link back to the original post on our site. Photos may not be used.